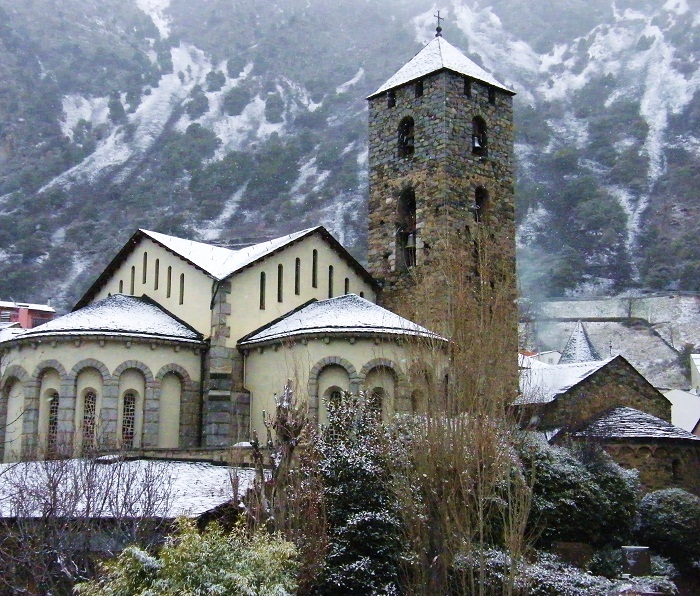 Sant Esteve Church is a Romanesque and partially Gothic church, located at the entrance to the old quarter of the capital city of the small Principality of Andorra, Andorra la Vella. 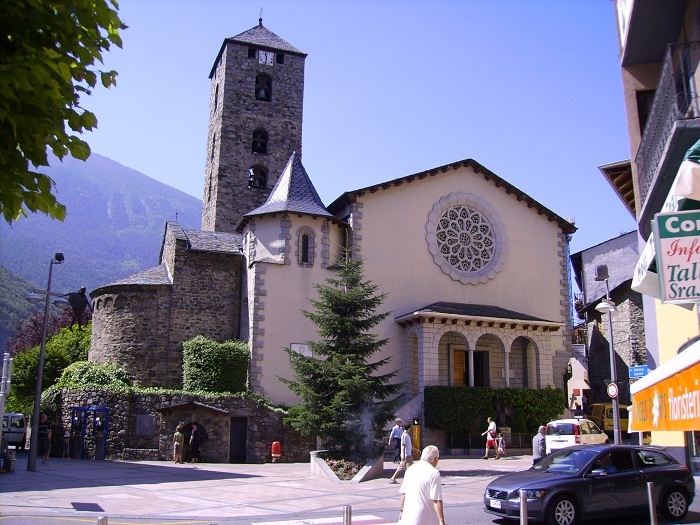 The church dates back from 12th century, however, it was considerably modified in 20th century. 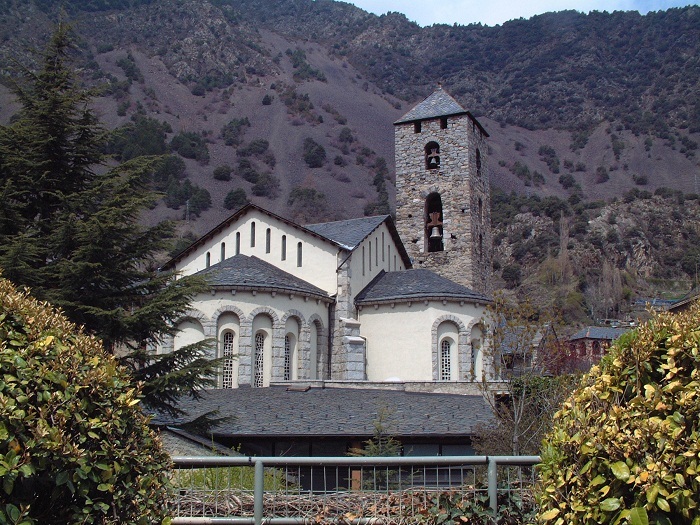 Since it has been through significant alterations and enlargements, from the original church there only remains the semicircular apse, part of the walls of the nave and a small apse. 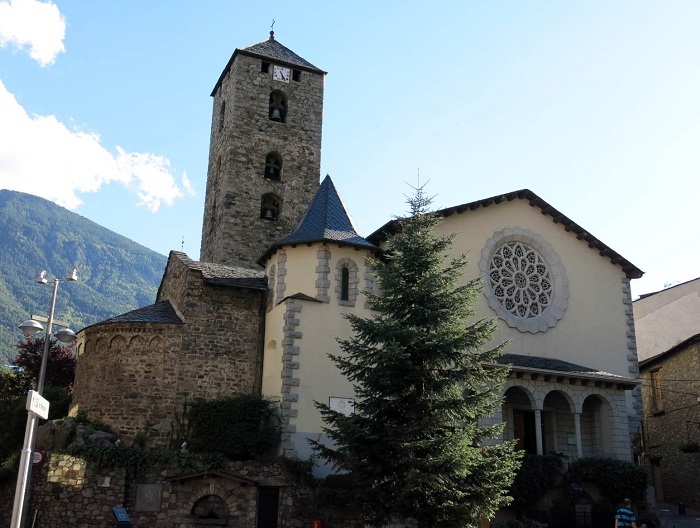 The apse is the largest and the most richly decorated in sculptures of the Romanesque apses preserved in Andorra, where it has two double slit windows and the quarter sphere roof is made of pumice stone. 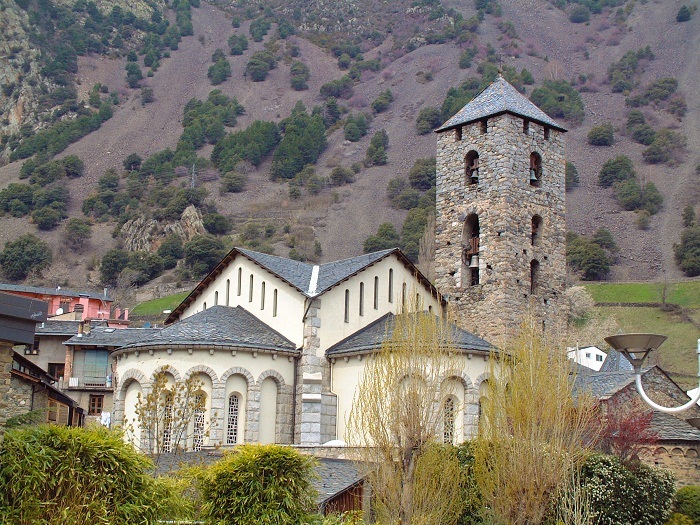 Outside, beneath the slate roof, there is a saw tooth frieze from one side to the other and below this another of blind arches, all in Lombard style, supported by a small table with geometrical decorations. 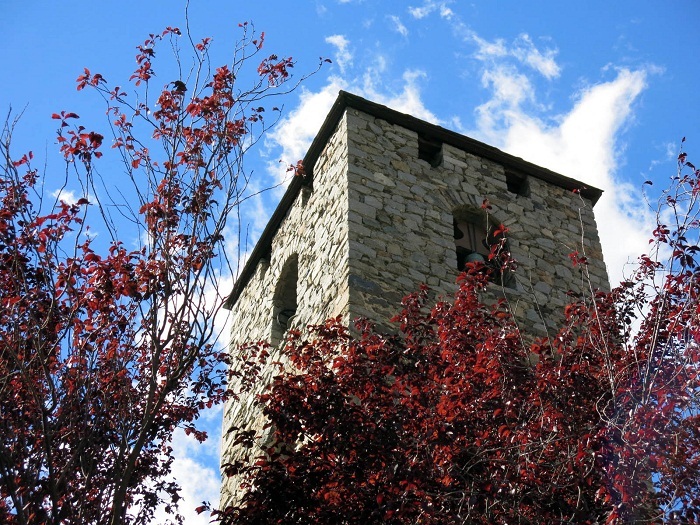 All of the walls have been decorated with murals, most likely from 13th century, where today some of them are partially preserved in the National Art Museum of Catalonia. 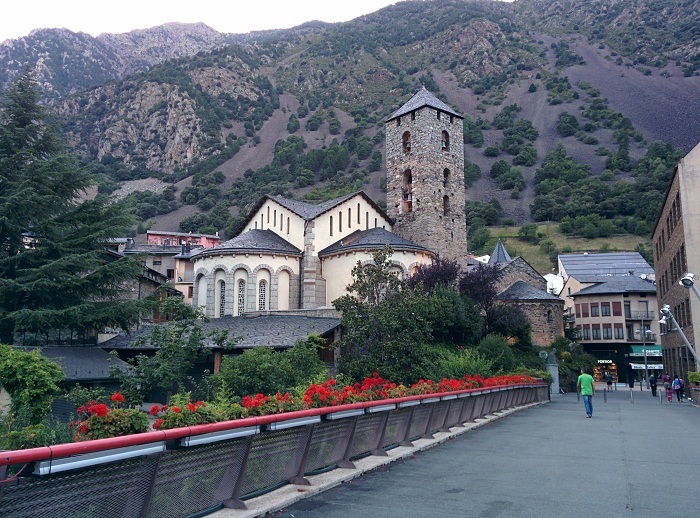 There are also some mural paintings in two private collections, nonetheless, really important to be noted inside the church is the Painting of the Souls from 18th century. 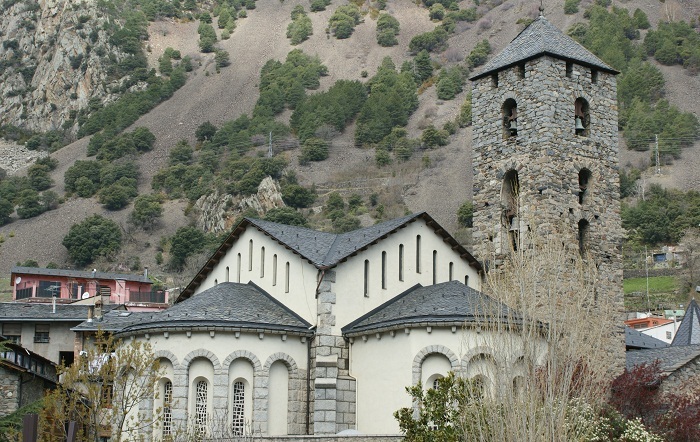 The major restoration from 20th century happened in 1940, which was made by the modernist architect Josep Puig. 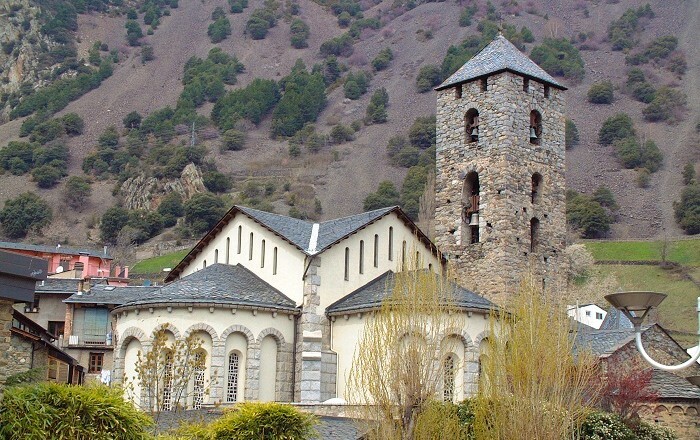 Visible from various points of the capital city, Sant Esteve Church nowadays is a great symbol for this small country which is high in the Pyrenees Mountains, and greets every visitor who would like to learn more about the rich history of Andorra.